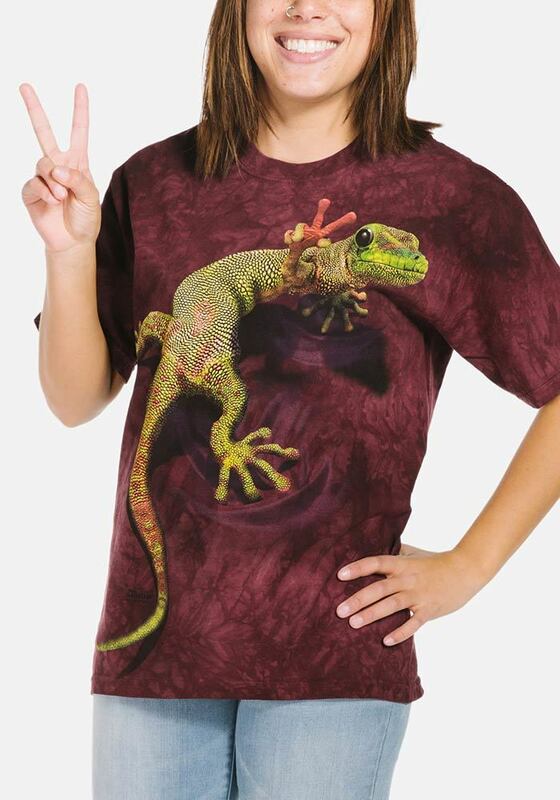 Fun, durable and high quality makes this children's gecko t-shirt the perfect choice. Both boys and girls will love the cheeky gecko holding up a peace sign with his little fingers. It's so realistic he looks like he's really on the shirt.